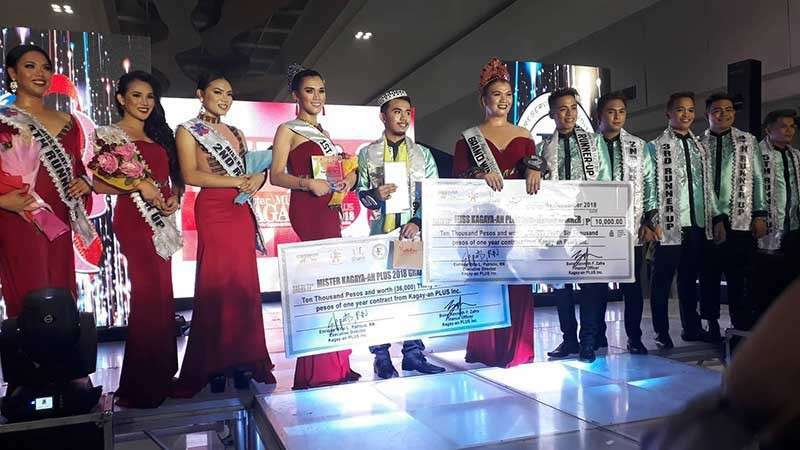 TWENTY-TWO-YEAR-OLDS Reynan Panoy Baguio and Gemini Elorde Matulac were crowned this year's Mister and Miss Kagay-an Plus last Saturday, December 1, as part of the World Aids Day celebration. 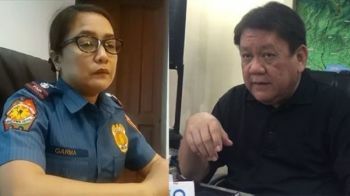 “Actually, I didn't expect nga ako gyud makadaog kay among all the candidates for the transgender women, I am not the prettiest, I am not the sexiest. But I believe I still can compete sa ilaha kay I know that this pageant is not just about beauty, body or brain, it is about how you promote, your willingness, your commitment sa ani nga organization para makatabang sa ubang tao (to help other people),” Matulac said. “Winning as Mister Kagay-an Plus, it’s very unexpected kay throughout the day murag wala gyud ko nag expect pero ang feeling ba nga tanang nimong effort, tanang imong nabuhat as peer educator, and karon nga naa na kay title, the more ka maka voice out,” Baguio, for his part, said. The Mister and Miss Kagay-an PLUS is a search for the next Human Rights, HIV (human immunodeficiency virus) and Aids (acquired immunodeficiency syndrome) ambassadors of Cagayan de Oro City, conducted by Kagay-an Plus (Preserving Life, Uniting Society) Inc.
“Ang amo pud ing ani is if in the event nga kaning mga winners, kay kasagaran sa community sa LGBT ayha pa mogawas ang batasan kun humana, kung ngil-ad gyud og batasan ang nadaog, i-dethrone gyud namo automatically,” Patricio said. “Attitude really matters. With this kind of advocacy, ang commitment ug ang dedication are needed,” he added. For Gemini and Reynan, winning the pageant will give them the opportunity to continue their advocacy as peer educators, especially when it comes to combating discrimination and stigma towards people with HIV and the LGBT community. “When people discriminate you, slap them with kindness. It is the best way to stop discrimination. Be kind to them and educate at the same time of what they need to learn,” Gemini said. “Never stop be an inspiration gyud. Never stop or never give up sa tanan-tanan, challenges ra na. Kung magpapildi ka, ikaw ang luoy. Kung mo-stand ka, ikaw ang daog,” Reynan said. He also shared that his drive to help the organization with their advocacy came from a person close to his heart who died from Aids complication. According to Reynan, that person was the one who taught him to be independent, to be strong and to stand on his own. 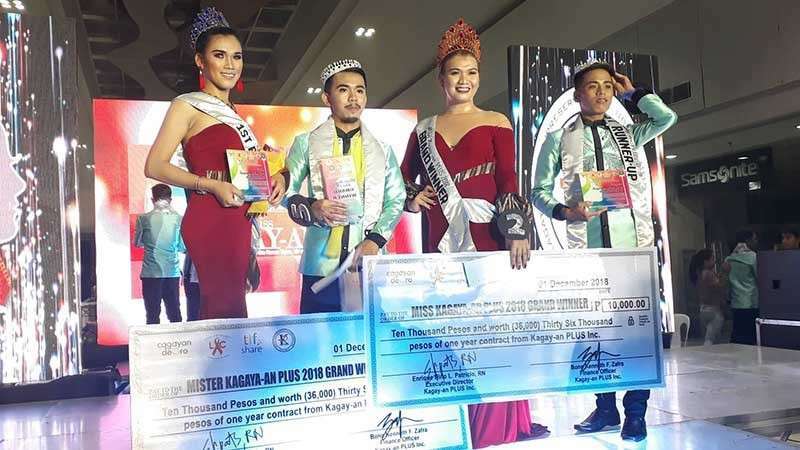 “Gi-dedicate nako ni sya sa iya... wala nako sya nga save but through this advocacy, ani nga pageantry with advocacy... mas the more nako ma save ang laing tao,” Reynan said. This year's Mister and Miss Kagay-an Plus also shared their plans as the HIV, Aids and human rights ambassadors of the city. “My plan for this year is makig-coordinate with the schools, the universities, colleges and institutions para pud nga dali ra kaayo ang pag-deliver or pag-spread sa information about HIV,” Reynan said. For her part, Gemini said she would start educating those who are close to her first, such as her friends, family and relatives. 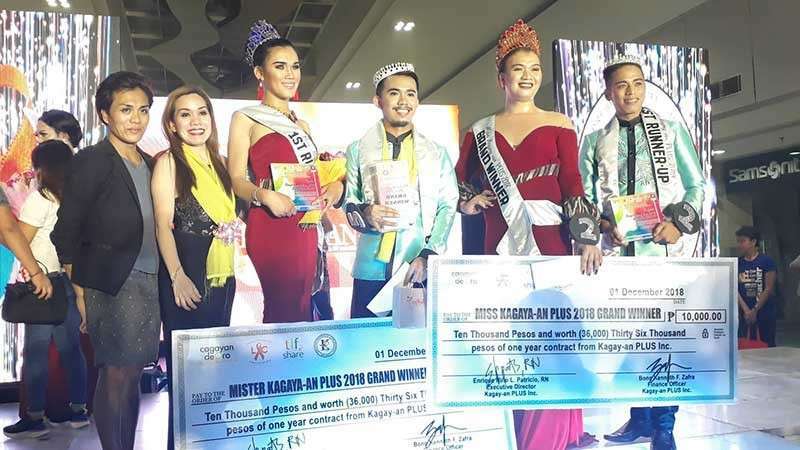 The first Mister and Miss Kagay-an Plus started in 2016. Patricio said it came out from the thought of engaging the key population through pageantry with a cause. The event advocates not only the HIV but also the SOGI or sexual orientation and gender identity. “As of this moment and this batch, we are so very proud of them because in one month and 24 days, they were able to get around 300 plus na nagpa test. And out of it, sobra 20 ang nag positive,” Patricio said. “Hopefully by next year, it (the pageant) will be big and it will be greater than this,” he added.